Become an Accredited Paralegal in Ontario. Work as a licensed Paralegal, a Municipal or Provincial Prosecutor, Adjudicator, Mediator, or open your own Paralegal Firm. Become an Accredited Paralegal in Ontario. Work as a licensed Paralegal, a Municipal or Provincial Prosecutor, Adjudicator, Mediator, or open your own Paralegal Firm. Have you ever thought of pursuing a career as a paralegal? In only one year, you could be working in the legal profession earning a competitive salary. In Ontario, being a paralegal is a licensed role and regulated profession. Licensed paralegals are able to provide representation to clients in the various Courts, Tribunals, Boards, Agencies, and Commissions. They appear before Judges, Justice’ of the Peace and Adjudicators,and can represent parties in Immigration, Criminal, and various Traffic Offence matters. 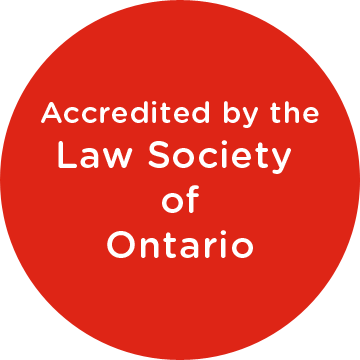 This program is accredited by the Law Society of Ontario. Paralegals are an indispensable part of the legal system in Canada, working for the Courts, Provincial or Federal Ministries, Government Agencies, Corporations, Law Firms, Attorney General, teaching in Colleges, or working on their own. They also perform substantive legal work, including investigative research, preparing critical legal documents, and swearing affidavits. Students learn to navigate and conduct research on various software and websites, including PCLaw, CanLII, Quicklaw, eLaws, Justice Laws, ADR Institute of Ontario, Ontario Courts, Tribunal Websites, WorldLII, By-Laws, Municipal Codes Website, LawPro, Ontario Court Forms, Service Ontario, and the Law Society website. PRE-REQUISITES: A Grade 12 diploma or mature student status is required. Courses are Primary, Secondary, or advanced. Students must complete all Primary Courses prior to entering any Secondary Courses. Students must complete all Primary and Secondary Courses before entering any Advanced courses. English I - Introduces to college level English reading and writing skills to develop grammar, vocabulary and paragraph development. Introduction to the Legal System - Students will be introduced to the structure of the Canadian government and political system, the Canadian court systems and the powers that govern each. The Constitution and the Canadian Charter of Rights and Freedoms will be examined in addition to property law, business law, and consumer laws as they apply to Canadians across the country. Basic legal terminologies, statutes, and regulations will be explored daily. Legal Computer Applications - Microsoft Office basics including Word, Excel, PowerPoint, and Outlook. Various correspondence and legal documents like pleadings, motions, applications, and forms. Students will also learn how to use the internet to view various sources to find documents, applications, view case law, and view court web sites related to drafting of correspondence and memoranda. Legal Communication - Legal writing techniques required to work in the legal field and will learn to draft various types of documents that include letters, memorandums, legal correspondence, and pleadings. Students will develop an understanding of the importance of proper writing skills and develop an appreciation for spelling, legal terminology, and presentation techniques. Legal Research and Writing - Sources like e-laws, CanLII, Quicklaw. Students will draft legal memorandum and learn how to research relevant statutes, regulations, and cases in the courtroom for the purposes of creating a book of authorities or other similar supporting materials. Professional Skills - Prepares students with every aspect of their transition into their new career by identifying and teaching essential business and interpersonal skills. Torts and Contracts - Both contract and tort law with focus on intentional and unintentional torts including negligence, assault, battery, trespassing, and other various matters related to tort law. Students will also learn about the elements of a contract that include intention, capacity, legality, consideration, offer, and acceptance. The course will emphasize remedies for each with a particular focus on damages, discharge, breach, and other contractual rights. Criminal Summary Conviction Procedure - Criminal Code of Canada and its regulations, with particular legal issues and procedures associated with summary conviction matters and will explore the roles of police, the Crown, and the defendant in criminal proceedings. Provincial and Motor Vehicle Offences - Legal services in the provincial offences court and the Ontario Court of Justice, and knowledge of the Provincial Offences Act, the Highway Traffic Act, and other legislation such as the Compulsory Automobile Insurance Act, Liquor Licence Act, Environmental Protection Act, Occupational Health and Safety Act, Trespass to Property Act, and the Blind Persons Rights Act will be explored and analyzed. Administrative Law - Functions and characteristics of administrative law bodies in Ontario and the roles and functions of tribunals. Natural justice, bias, and public decision making will be discussed with an emphasis on administrative law with regard to boards, agencies, tribunals and commissions. Employment Law - Analyze employment related statutes and case law and will learn how to identify and address potential legal problems in the workplace. Employment Standards Act, Labour Relations Act, Human Rights Code, Workplace Safety and Insurance Act, and the Occupational Health and Safety Act. Employment related tribunals and their practice requirements. Residential Landlord and Tenant Law - Residential Tenancies Act and its corresponding regulations. Landlord-tenant relationship and the rights of all parties in accordance to the Act. Landlord Tenant Board and the processes involved in filing an application with the Board and any other forms relevant to the relationship. Small Claims Court - Small Claims Court and the rules, practice and procedures. Students will work extensively with the Rules of the Small Claims Court and will review relevant court documents and cases that are relevant to the practice of a Paralegal. Tribunal Practice and Procedure - Identify and interpret enabling legislation, examine tribunal hearing processes and sequences of proceedings. Students will also perform a presentation on a particular tribunal appointed by their instructor and will engage in daily advocacy exercises as they would before those tribunals. Legal Accounting - Typical billing and record keeping procedures and requirements for handling a typical client legal matter. Law Society Bookkeeping Guide and PCLaw billing software and will explore core features of PCLaw using simple to complex scenarios and exercises. Ethics and Professional Responsibility - Law Society’s mandatory requirements with regard to professional responsibility, practice management, and record keeping requirements. The Paralegal Rules of Conduct, the Paralegal Professional Conduct Guidelines, and the relevant bylaws dealing with civility, professionalism, and other ethical matters. Regulatory Offenses in Canada - Absolute and strict liability offences, due diligence, and public welfare offences. Students will also focus on the defences that are available and will visit the court room to experience the prosecutions of regulatory offences first hand. Introduction to Immigration Law - Canadian immigration laws, rules, policies, and procedures that are enforced and developed through Canadian government agencies, courts, and tribunals. Students will be introduced to immigration concepts such as grounds for entry into Canada, inadmissibility, permanent residency, and refugee law in Canada. Practice Management - Practice Management and Operation of a Small Paralegal Business in Ontario. How to draft a business plan, how to follow the rules of conduct regarding their practice, and understanding their obligations as an employer. Alternative Dispute Resolution - Dispute resolution mechanisms as an alternative to traditional litigation processes. The practice of negotiation, mediation and arbitration will be observed. Students will examine the objectives, principles, practice and apply the different types of alternative dispute resolution solutions in the legal system. Advocacy - Focus on analyzing various court room litigation strategies that include how to perform opening statements, direct examinations, cross examinations, re-examinations, objections, and closing arguments. Students will also examine how to conduct client interviews, identify the order of evidence to be introduced, and how to prepare witnesses. Evidence and the Litigation Process - Students will learn the basic principles regarding admissibility of evidence including weight, materiality, relevance, and prejudicial effect versus probative value. Students will observe the exceptions to the admissibility of evidence and how to use those rules in the courts and tribunals. Expert evidence will also be discussed. Practicum Placement - The practicum provides the student with an opportunity to incorporate classroom theory into a real work situation. It allows the student the ability to demonstrate, evaluate and refine skills needed by a professional in a Legal or Paralegal environment. Placement will provide the student with a meaningful work experience for jobs within the Paralegal Industry. Field placement enables learners to better understand the dynamics of the industry increase their knowledge of industry practices and provides a competitive advantage of experience in the job market. Paralegals prepare legal documents, conduct research, andrepresent clients from minor to very serious offences. Independent paralegals provide legal services to the public as allowed by provincial and federal legislation, and many provide independent legal services on contract to law firms or other establishments. Graduates with a Paralegal license become indispensable members of the legal field dealing with various matters involving case research and writing, evidence gathering, witness preparation, advocacy, ADR, and much more. Graduates may choose to work in an established Law Firm or open a Paralegal Firm of their own to provide better access to justice. Students complete field placements of 120 hours as a part of the program. CIMT College assigns students to various legal office placements to gain hands-on experience before being awarded the diploma. NOC 4211 - Paralegal and related occupations. 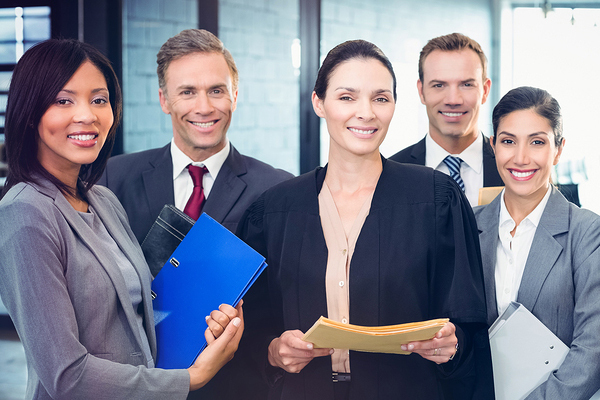 Common Job Titles which you can apply for in Ontario include but are not limited to–Paralegal, Prosecutor, Mediator, Adjudicator, Legal Researcher, Law Clerk, and Court Clerk. Advise clients and take legal action on litigation matters, criminal offences, meditation,and other issues within their jurisdiction. Job openings in the field of Paralegal seek a person who has completed an accredited college program and earned their license as a Paralegal. Since the knowledge of legal terminology and the legal field is important to be successful in this position, some practicum in-house training in a law firm or other legal establishment is usually desired by the employers. Independent Paralegals require knowledge of legal principles and procedures usually obtained through industry-sponsored courses and through experience, or through completion of a college paralegal program. 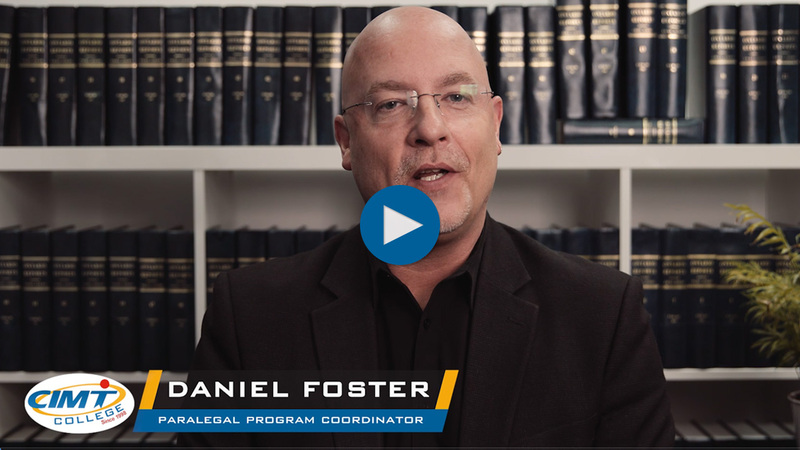 Our Paralegal program course develops knowledge and skills which are desired by a variety of prospective employers, law firms, and legal establishments. Prospective employers may include the Toronto Transit Commission, Attorney General, Financial Organizations, Legal Departments in public as well as private sectors, Municipal, Provincial and Federal Courts, Government Agencies, Correctional Institutions, Private and Public Colleges, Mediation Firms, and much more.